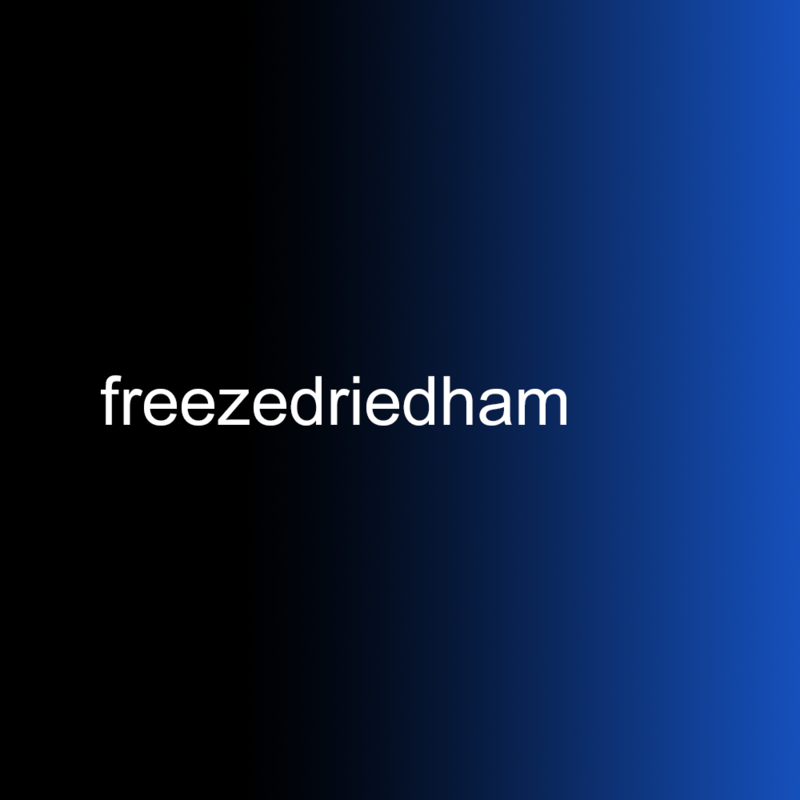 freezedriedham (2000-2007), you were born on a manila foolscap folder, the child of a biro and a brilliant firework in Chris's untapped mind. We never knew what your name meant but we accepted it anyway, your three fathers and your various foster parents and uncles and aunts who weren't really uncles or aunts, but whom we called such so not to confuse you. You grew in strange and often contradictory directions, all powerful limbs and distracted stares. You made friends and a mess. You took what was around and made of it something more. The years went on, and still people asked what your name meant, and proud though we were of what you'd achieved, we could never find an answer that would satisfy them or us. But like all good things you came to an end, burning out like a candle on an asthmatic's birthday cake. You once had a website, a repository of your varying qualities, which went through a late stage redevelopment never completed. So I dug up what I could find of your bones and had you interred here instead. Maybe some children will one day come along and take brass rubbings of your outline, though little of you was brass by composition, perhaps with the occasional exception of your balls. Now you're gone and we finally know what your name means, it is written on every moving painting you gave us to stick on the fridge door of our experience. It may not have been enough for some, but it was enough for us and it will be felt by any child who rubs those balls. Those sparkling, shiny balls. ‘Discotheque’ is possibly the greatest dance floor anthem never released. Thank god then we have this wonderful acapella version performed by the hit-machine gents themselves, men who at once spend too much and not enough time in each other’s company. Fact: the dance moves here were choreographed only moments before the scene was shot. Incredible. This was a green screen test to combine live action footage with model (the former being the young chaps, the latter the interior of the train, which is a scale model). The intention, at some point, was to use an approach similar to this to shoot a script I wrote called ’It Was a Bad Sandwich’ (hence the test sequence’s title). The thinking was that since we wouldn’t have the budget to produce photo realistic effects we would go the other way and make it look completely unrealistic. Set in the future, the story would have followed the owner of a sandwich making company, that supplied its wares to starships, and his problems with a staff strike led by his estranged wife. Perhaps that was unrealistic enough. This song and video was born of ‘Have A Cigar’, a script I wrote about a guy in a boy band who has to survive a press junket promoting his band’s new album, in the wake of learning his band mates have just died in a mid-air explosion. By and large this entire concept was not based on my first hand experience. Still, it was a fun kind of story, albeit one that needed more work than it got before we decided to go ahead and film it. This is no doubt one of the reasons why we never finished the film (though who knows, maybe one day…) and a reminder that if it ain’t on the page it ain’t… in the camera. The film would have featured clips from several of N2Getha’s videos, two of which are now the only surviving element of the film. All the songs were written by Anthony Boniface (and sung by Nick Parsons), who captured so well the naff earnestness of boyband bluster and balladeering that we obviously felt the need to set them to the stupidest visuals we could manage. Kudos to the cast for throwing themselves here into what is possibly the cheapest, most crap party ever given. Luckily the song is pretty catchy. ‘Get The Party Started’ was supposed to be N2Gether’s high-energy dance number, but any boy band also needs be able to change to their other gear and slow it down. Again composer Mr Boniface only had the song titles as they appeared in the script as a starting point for the songs, but managed to totally hit the nail on the head with ‘Flying Like Angels’. It got stuck in my head a lot. We ran around with our boyband in the hot sun of 2003’s summer and cut together could be a homage to Metallica’s video for Nothing Else Matters, all hard work in the studio, goofing around and male bonding. Much like we were doing anyway. I wish we had spent more time on developing the script for Have Cigar and planned better for production. It’s a shame that the efforts of everyone involved did not amount to a finished film because things were rushed. In a way I think our experience making Fade to Beige made us believe that everything we made would come together as easily. With Fade to Beige everything that could go wrong mostly didn’t, and with Have a Cigar we weren’t as lucky. I think it taught us not to be so cocky. And to avoid trying to shoot 20 pages of dialogue in a house full of 15 people on the hottest weekend in eternity. A journey through the conscious of Richard Price. Lost after the death of his wife, Price's search for answers, leads him to the only place he can find them: within himself. The Lost Soul was filmed in Summer 2001.